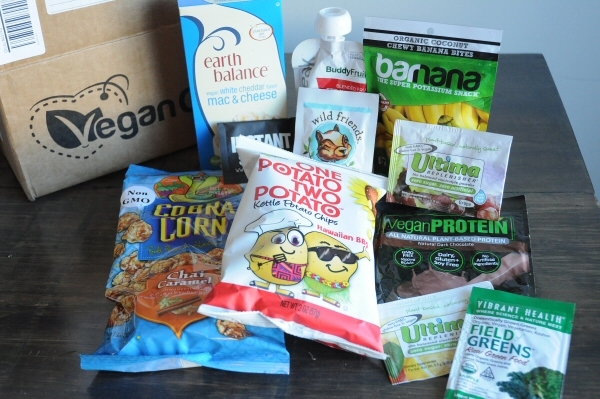 Vegan Cuts offers all kinds of vegan goodies in 2 types of boxes: the Vegan Cuts Snack Box (which I’m reviewing today) and the Vegan Cuts Beauty Box. They also have an online marketplace where you can buy individual vegan products. The lovely folks at Vegan Cuts sent me a Vegan Snack Box to review last week, and I can’t tell you how excited I was when it finally arrived at my door step. There’s just something about getting a box full of vegan yumminess straight to my door that makes me a little giddy. 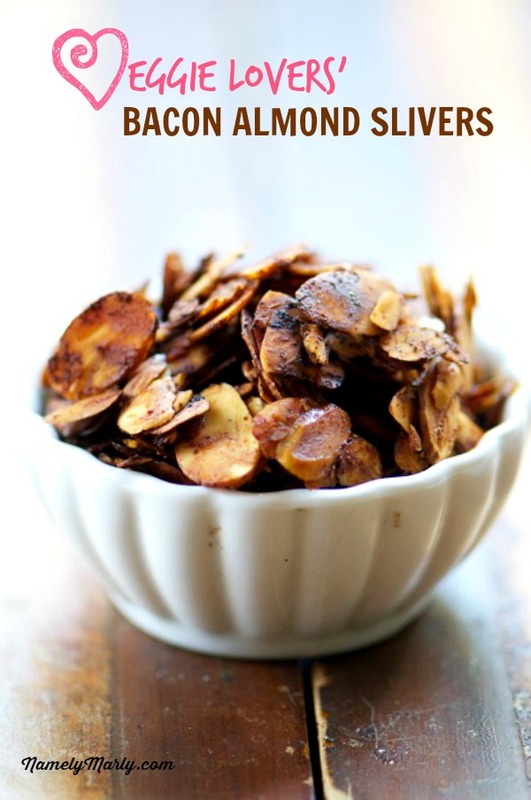 Cobra Corn: Chai Caramel – If you’re a fan of Chai tea, you will love this caramel corn! I found it very reminiscent of the Chai flavor tea I used to drink. Since I’m no longer a Chai tea fan, I didn’t care much for this caramel corn. One Potato Two Potato Kettle Potato Chips: Hawaiian BBQ – As someone who really REALLY doesn’t like barbecue chips, I was surprised just how much I loved these ones. They were so good I snuck away to eat the whole bag to myself before my family could get their hands on them. Chewy Banana Bites – I gave these to my husband to take on a trip with him and he told me they were fantastic. Very portable, minimal ingredients, and delicious taste. Now I’m on the hunt for this snack in Canada so I can try them too! Wild Friends Chocolate Coconut Peanut Butter – I loved this stuff on toast! The only thing I didn’t like was that the packaging made it very difficult to squeeze it all out. However, if you’re buying this in a store, you’re going to get it in a jar, anyway. So no worries! Protein & Green Packets – I liked all but the “Ultima” packet. The chocolate protein drink was pretty good, though, unfortunately, not as good as the Silk chocolate milk I’m so fond of. The “Field Greens” and “Instant Shiitake” went into a green smoothie and I couldn’t taste them, so I guess that’s a good thing, right? BuddyFruits FruitBreak: Strawberry, Banana & Apple – This was SO delicious! I gave it to my 5 year old, but tried a bit myself first, and it was yummy. I love that it only has fruit in the package, nothing else. This is something I’d definitely feel comfortable giving to my kids! All in all, I was very impressed with the Vegan Cuts Snack Box. For only $19.95 per month, it’s a fun way to try new vegan snacks that I may not have the opportunity to try otherwise. This would make for an awesome Christmas gift! I think I might gift one to myself. Yes. Yes, I think I will. 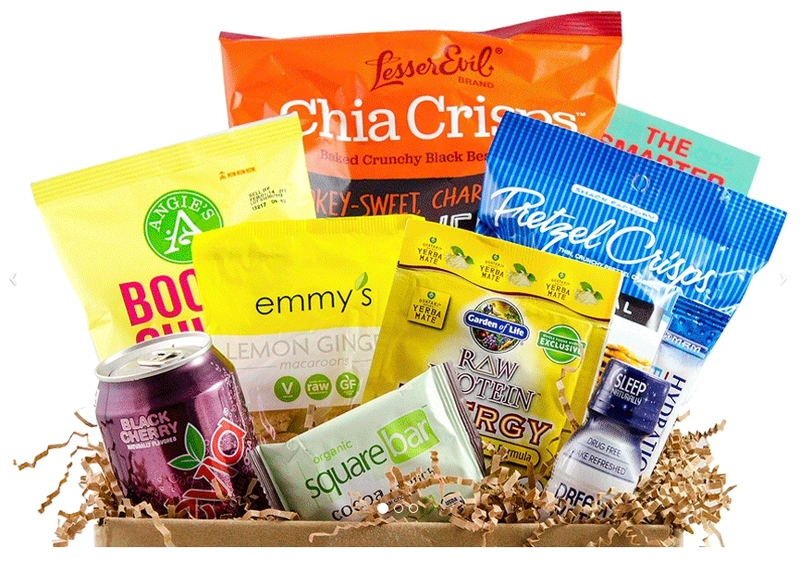 If you’re interested in signing up for the Vegan Cuts Snack Box, the price is $19.95 and shipping is FREE if you live in the US. Canadian orders are an extra $8 and international orders are an additional $15. Disclosure: This Vegan Cuts review does contain affiliate links, so if you were to make a purchase, I would get a small commission. Today, I’m going to open that can of worms and let you know the answer. Being vegan can be cheap or expensive or right in the middle. It depends on a lot of things: your financial situation, your personal feelings, and your access to certain foods. Am I personally spending more money now than when I was eating a diet filled with animal products? Yes, I am. On purpose. On purpose, you ask? Why on earth would I possibly want to spend more money on my grocery bill each month when I don’t have to? Well, here’s the thing: once I switched to a vegan diet, I learned more and more not just about vegan food, but about food in general. I read about GMO’s, artificial colours and flavourings, preservatives, and all of that junk that is put into our food and beverages these days. I wanted to learn everything I could about food. Where it came from, how it got here, and anything else I could find out. What I learned was scary. Most everything I ate was either highly processed and/or loaded with chemicals. I switched to a vegan diet to be healthy, and more than half of the stuff I ate was not healthy at all. So, I made a drastic change. I switched to a mostly whole foods diet and the majority of the fruits and veggies that I buy are organic. No one wants to eat chemicals for breakfast, right? I know I sure don’t. So, organics it is. Sometimes, when money is tight, I will only buy the dirty dozen organic, and conventional for everything else, but that doesn’t happen often, because I make it a priority to have money set aside for high-quality produce. Speaking of high-quality produce, I stopped shopping at low-end grocery stores, not because of the prices, but because of the quality. I wouldn’t say I shop at high-end grocery stores these days (not often, anyway! ), but I do avoid stores that, from my own personal experience, sell mediocre (or less) produce. Switching to a vegan diet made me change my overall eating habits. It wasn’t just eliminating the animal products, it was learning all about food and how food is made, that really changed the way I grocery shopped. So yes, I spend more money on groceries now that I eat a vegan diet. But does that mean you have to? Absolutely not! 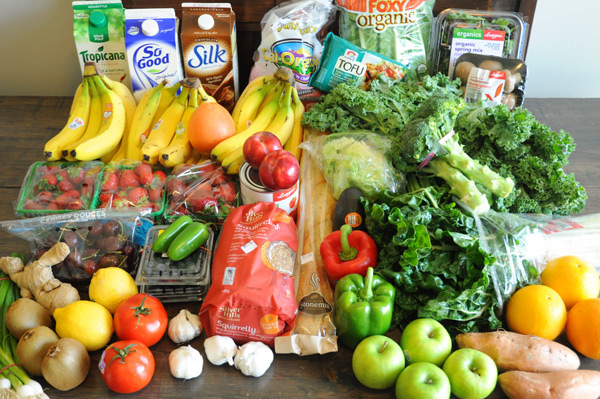 There are many ways you can save money on a vegan diet. Especially at the very end of the day, when the farmer’s a ready to close up shop. You won’t get the best selection, but you will certainly get the best price, because the farmer doesn’t want to have to lug all of that food back to the farm. Ask for a discount, and you’ll likely get one. Regardless of where you shop, all stores have a sales cycle, and they will always have items on sale when you are shopping. Take advantage of those sales and add them to your menu plan. Try to avoid purchasing items that aren’t on sale. They just might be on sale next week! Stocking up on produce when it’s on sale is a great way to save money. For example, if berries are on sale super cheap, buy enough to last you a few months (if you can afford to do so), and stash them in the freezer. The same goes for other fruit, and for vegetables. 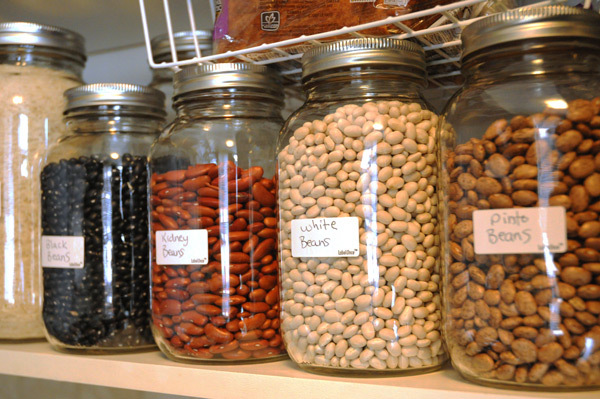 You should do this with other produce as well, such as beans, rice, quinoa, flour, and other pantry staples. Many grocery stores have a shelf or cart where they put produce that no one will buy because it looks ugly. For example, spotty bananas are almost always available (people don’t know that spotty bananas are the most perfect! ), peppers that are a bit soft, apples that have a small bruise or two. Buy these items and either eat them right away or store them in the freezer for great savings! If you can’t afford to buy all organics, try to at least buy the “dirty dozen” organic, and the rest conventional. This goes hand in hand with only buying things that are on sale, because the items on sale are likely the items that are in season. When you only buy produce that is in season, it’s not only cheaper, but it tastes a thousand times better, too! Menu planning is essential if you want to save money on groceries – vegan or not. Plan your meals for an entire week, shop for groceries once, and you will save money, and also have a plan of attack for the week ahead. This will save you time, and the stress of “what’s for dinner” that many people experience each day. I personally plan all of my meals – including breakfast, lunch, dinner, and snacks/desserts. You may find that too overwhelming. If that’s the case, start with just one meal. Dinner is the most stressful for most people, so I would start there. You can add in more meals later, if you are up for the challenge. Don’t automatically assume that switching to a vegan diet is more expensive, because it doesn’t have to be. For me, it is, but like I said before, that is by choice. I pay more for better quality food, and I’m okay with that. 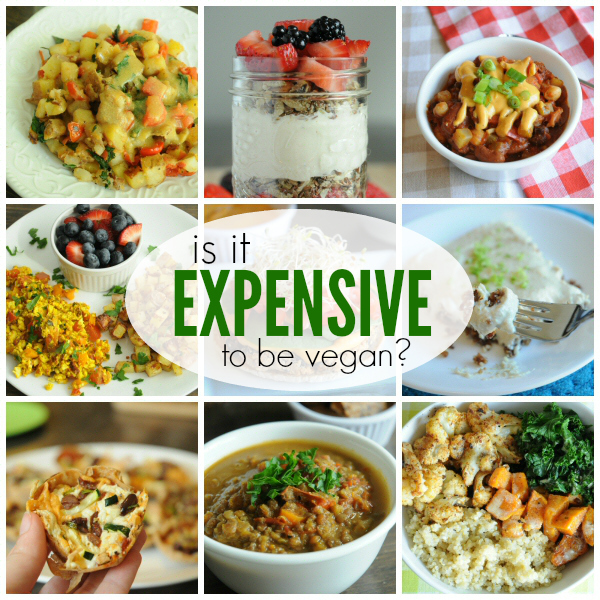 If you’re toying with the idea of going vegan, but are scared about the expense – don’t be! Start small and make gradual changes in your diet, and see where that takes you. 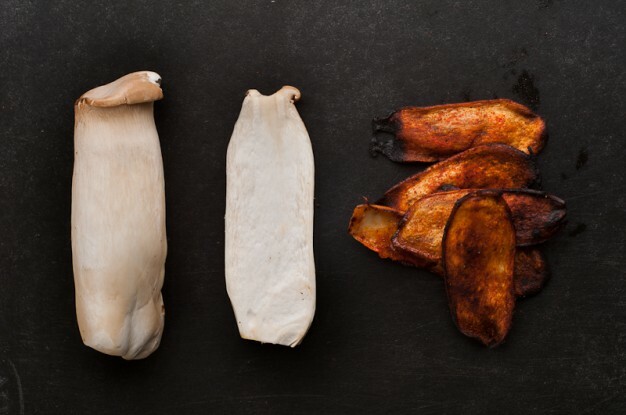 You might be surprised just how inexpensive being vegan can be. If you’re currently eating a vegan diet, do you find it to be more expensive than a diet full of animal-foods? Are you (or were you) addicted to cheese? Does giving up cheese scare the pants off of you? Sure, vegan food is delicious, but there is no way, no how that you could give up cheese. Right? If this sounds like you, I can relate. 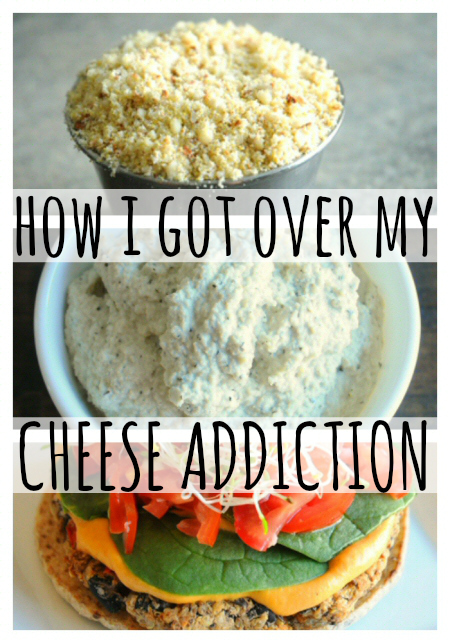 My addiction to cheese was real, and eliminating it from my diet was the last thing I wanted to do, ever. Cheese was my favourite. 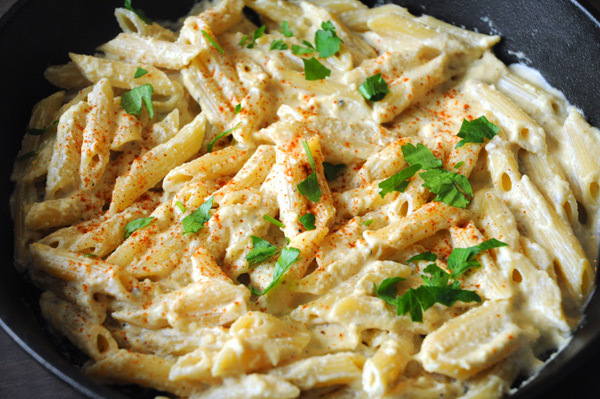 I loved parmesan cheese on pretty much everything, loads of mozzarella on pizza and pasta, cheddar on tacos and burritos, ricotta in lasagna, feta directly from the container into my mouth… I loved cheese. Couldn’t get enough of it. I’d say in an average month, I spent over $20 on cheese. And then I switched to a vegan diet and cheese was no longer a part of my daily life. It was hard. So, so incredibly hard. I was so addicted to the stuff that it was all I could think about. At every meal, I though “this could use some cheese” and “this is good, but it would be better with cheese”. After about a week into my new diet, I seriously contemplated being vegetarian instead, just so I could get my daily dose of cheese again. But I persevered. I kept going. Because of all the things that are bad for you, cheese (dairy) is one of the absolute worst. Plus, the animals! Those poor animals. After watching a few documentaries by that point, I still couldn’t get the images of suffering cows out of my head. I couldn’t do it. I couldn’t go back to cheese. I remember getting on my computer and looking for a solution. Some support. Someone who would comfort me and tell me that everything was going to be okay. While I didn’t find exactly that, what I did find was that I was not alone. Apparently, giving up cheese is the most common issue for new vegans (and is the main reason why many people won’t actually switch to a vegan diet at all). I stumbled upon one blog post: I couldn’t give up cheese, so I gave up animal cruelty instead. And it changed my life. I thought I knew how cruel cows were treated, but I was wrong. This blog post scarred me, but in a good way. I’ve never looked at cheese the same way again. Not only is cheese bad for you, but it’s cruel. That’s enough for me to walk away from it. 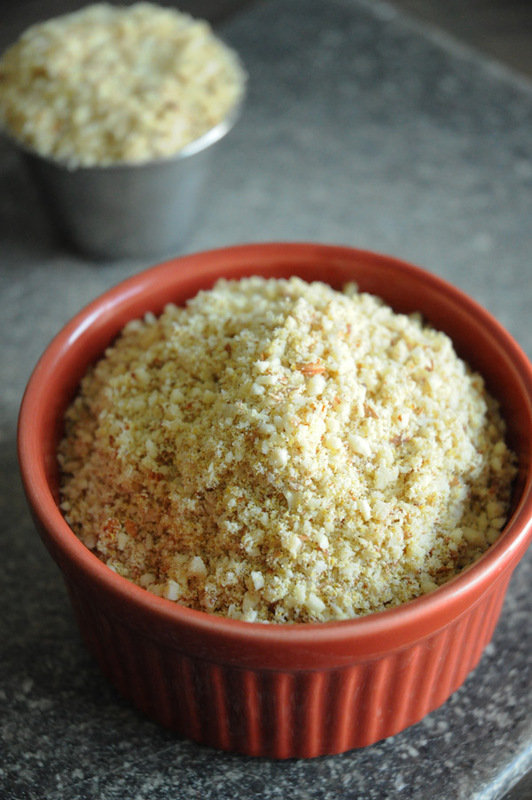 I also started experimenting with my own, homemade cheese recipes, like this vegan nacho cheese sauce (that I seriously put on just about everything), this vegan ricotta cheese, and this homemade vegan parmesan cheese (I put this on everything, too – you can always find a jar full of this cheese in my fridge!). I purchased this cookbook, The Non-Dairy Evolution Cookbook: A Modernist Culinary Approach to Plant-Based, Dairy Free Foods, by Skye Michael Conroy, a few months ago, and have since made Chunky Bleu Cheese Dressing, Extra-Sharp White Cheddar, Cream Cheese, Sharp Tofu Cheddar and Pepper Jack Cheese. All were incredible and all will be made again and again! I’ve learned that vegan cheese can taste just as good (if not better) than the stuff made with animal products. Not only is it often tastier, but it’s much healthier and doesn’t promote any cruelty. I call that a win-win! So if you’re struggling with giving up cheese, remember – that overwhelming desire to call it quits and just shove a brick of cheese in your mouth – it will pass. If you’re as addicted to cheese as I was, it will be hard, you’ll be cranky, and you’ll think you’re going crazy – but you’re not. You’ll be fine. If I can give up cheese (and I ate cheese pretty much every single day for years), you can too! And you’ll be better off without it. I now live my life completely dairy-free, and I no longer have any desire to eat cheese made from cow’s milk. 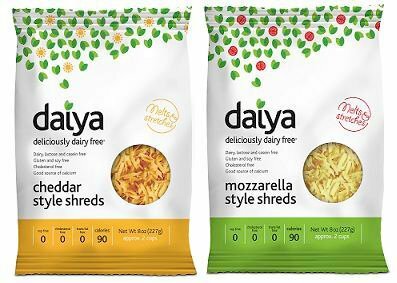 With all of the vegan cheese available on the market, and all of the delicious cheese recipes I can make at home (many of them are super easy! ), there’s no need for me to eat cheese ever again. No more suffering animals, no more putting garbage in my body, and no more being addicted to something that was unhealthy. I’m better off without it, and you will be, too. Do you have problems giving up cheese? Or, if you’ve already done it, was cheese a big hurdle for you? 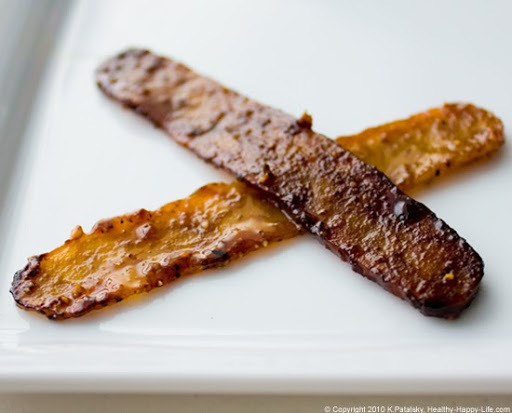 What is it about bacon that makes people go crazy? Bacon made from pigs or not – people love the stuff! Myself included (vegan bacon, of course). One of the most common things people ask when they find out I don’t eat animal products is: “but how can you not eat bacon?!”. They are seriously confused as to how I could give up strips of pig fat (because really, that’s all bacon is). It’s one of the main reasons a lot of my friends and family won’t go vegan. THE BACON. And THE CHEESE. They’re so addicted to these “foods” that they can’t even fathom giving them up, ever. 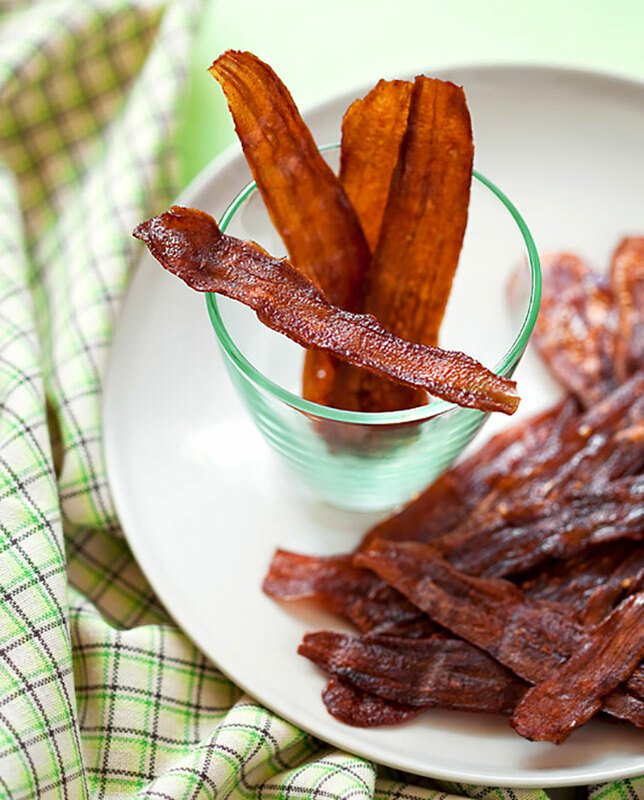 So I decided to find a bunch of vegan bacon recipes, to show them that you can be vegan AND eat your dang bacon! 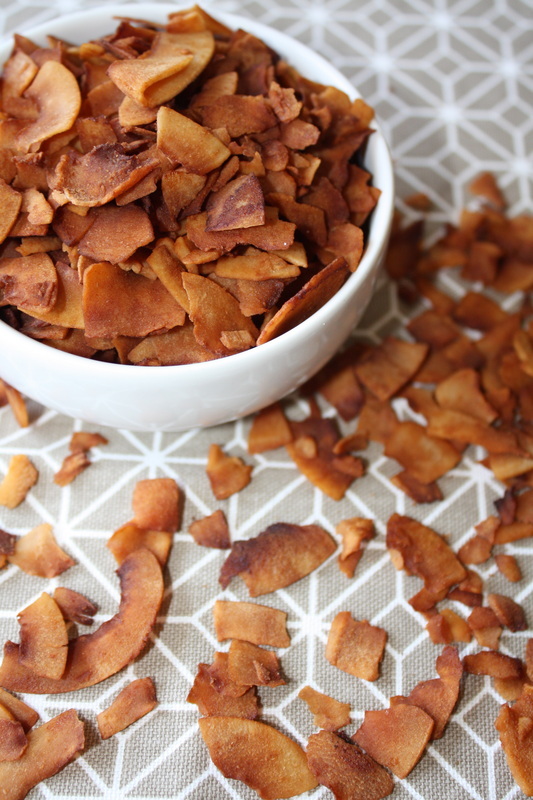 Take a look at all of that yummy vegan bacon! 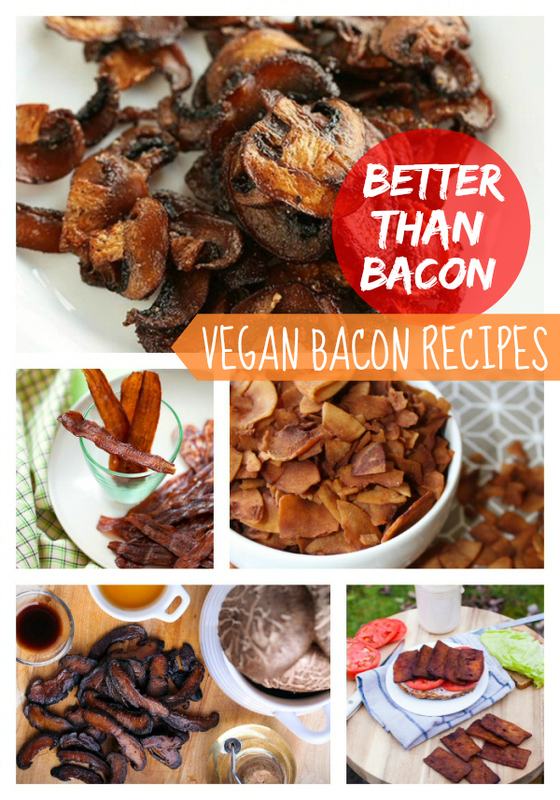 Who wouldn’t be satisfied with so many options for bacon? 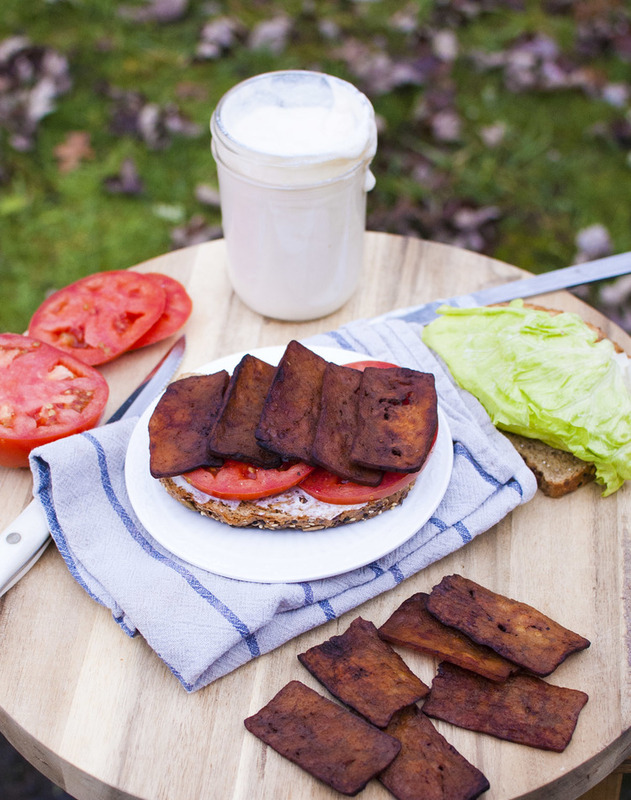 My favourite is coconut bacon & tofu bacon – they are both super easy to make. 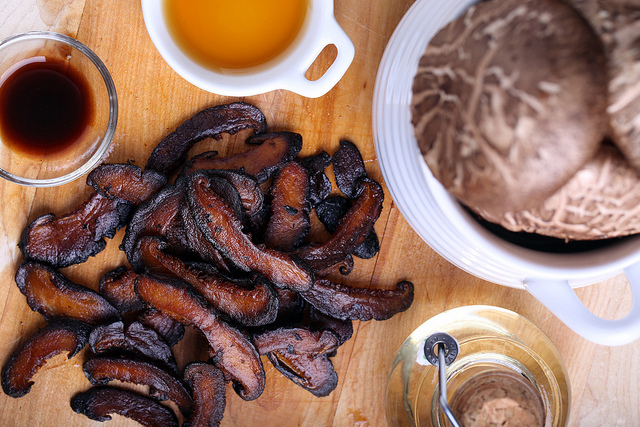 Mushroom-based bacon is tasty, too! 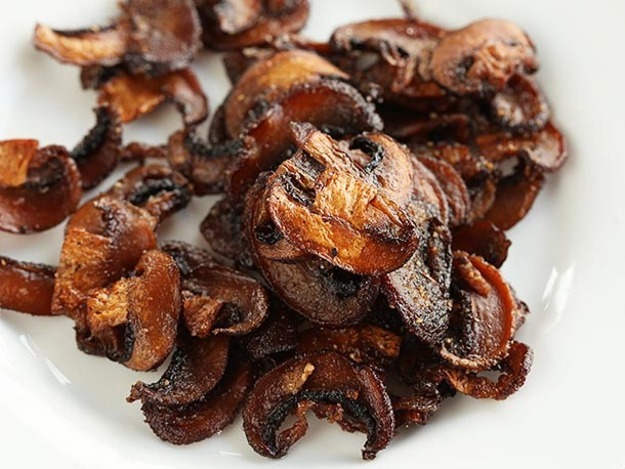 What is your favourite vegan bacon recipe? Do you ever wander the aisles in the grocery store and come across items where you think – “people actually buy this?”. I do. A lot. But that’s probably because I make pretty much everything from scratch and it’s weird to me when I realize other people don’t do that too. Cause’ homemade is the way to go, people. There’s nothing better! If there’s one item in the grocery store that is absolutely and utterly pointless, it’s croutons. Actually, bread crumbs too. These are the EASIEST things to make yourself. So, so easy. 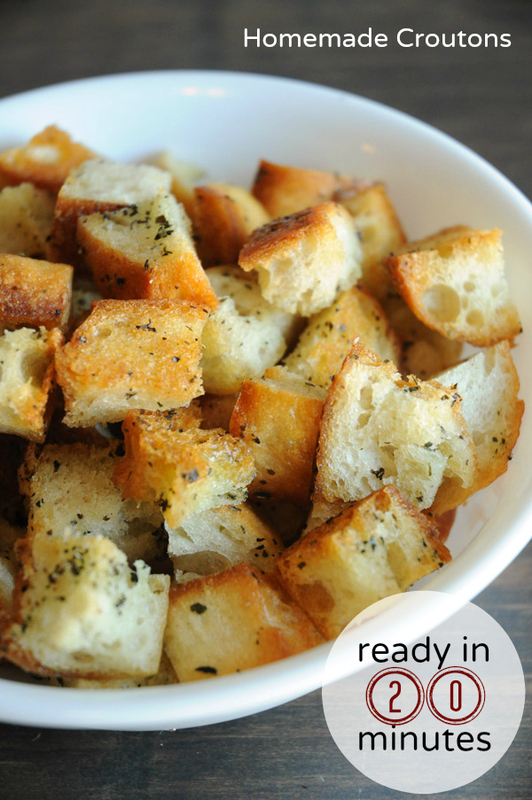 Even a 5 year old can make these croutons (and mine has – supervised, of course!). In just 20 minutes (or less! 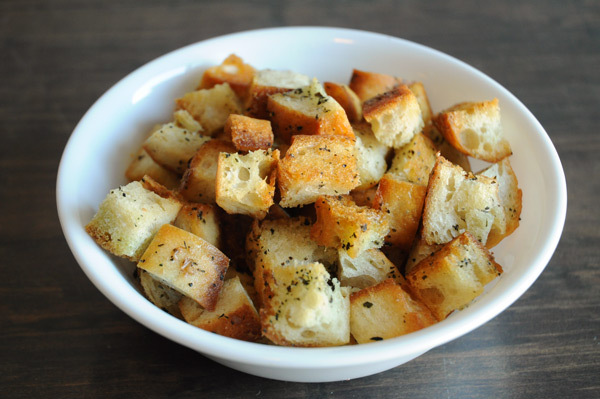 ), you can have your own batch of homemade croutons to serve with salads. Or you can be like me and just eat them on their own, as a snack. Only cool people eat croutons as a snack. Chop bread into cubes. Make sure they're bite-sized! Add bread cubes, olive oil, garlic powder and basil into a large bowl. Mix well, so that all bread cubes are coated nicely. Arrange bread cubes on a baking tray, lined with non-stick spray or a Silplat baking mat. Bake for 10-15 minutes, or until firm to the touch and lightly browned. Allow to cool completely, then stick them in a freezer bag and pop in the freezer until needed. Thaw for 5 minutes before use. 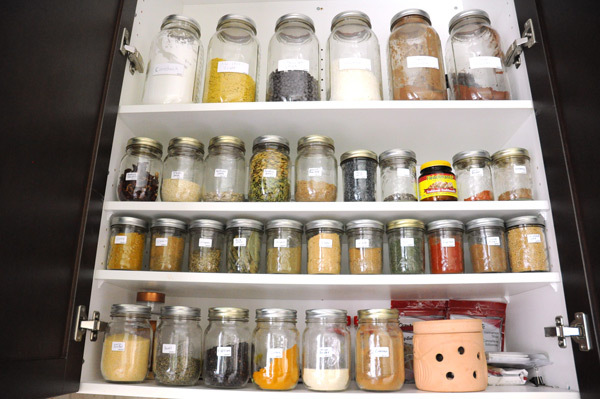 Many new vegans email me and ask what I keep in my vegan pantry, so I thought I should post some photos and details of the food that I keep on hand at all times. 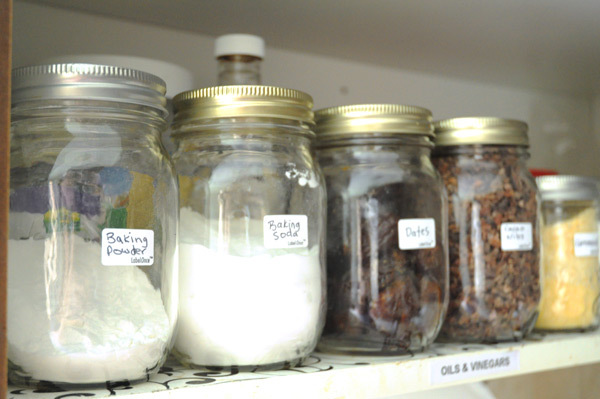 These are the foods, spices and baking items that I always have in my kitchen because I use them so often. 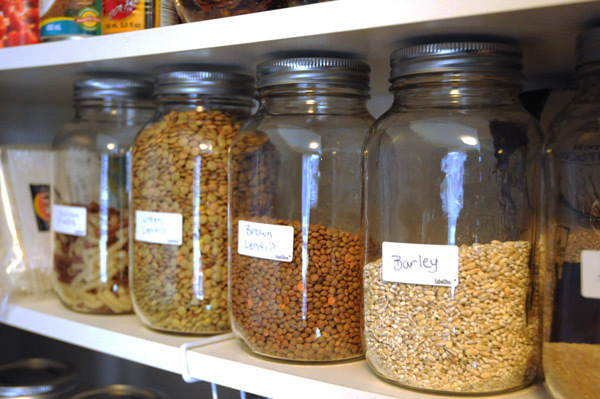 Building a vegan pantry takes time, money, and patience, so if you’re new to vegan eating, try to take things slow. It can be a bit overwhelming otherwise! And I think that just about covers it! Of course, I am trying new foods all the time, and if I like them enough (and my family does, too! ), they become a regular staple in my diet. When that happens in the future, I will be sure to update this list! 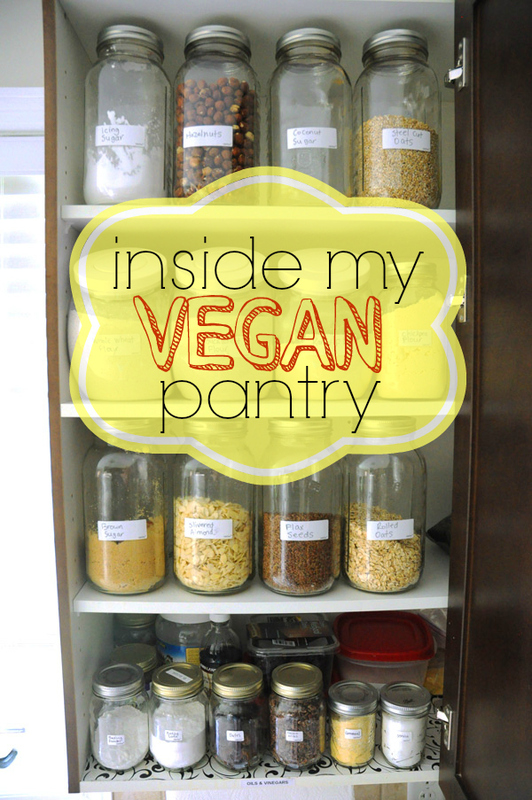 What are some of your must-have vegan pantry items? When it comes to kitchen tools, there are a ton of them out there, but most are unnecessary. I’ve purchased my fair share of kitchen gadgets, and most of them ended up in the trash or donated, simply because they didn’t work as advertised, or because I never used them. Today, I’m going to share with you 10 kitchen tools that do work, and that are definitely worth the money. I use these items every day! 1. Paderno Cookware Set – My husband and I received a set of Paderno cookware for Christmas a few years ago, and now – it’s pretty much all I use. I LOVE it. I actually burned one of the pots by mistake one time, and willingly paid the $80 for a replacement, because I love them that much. 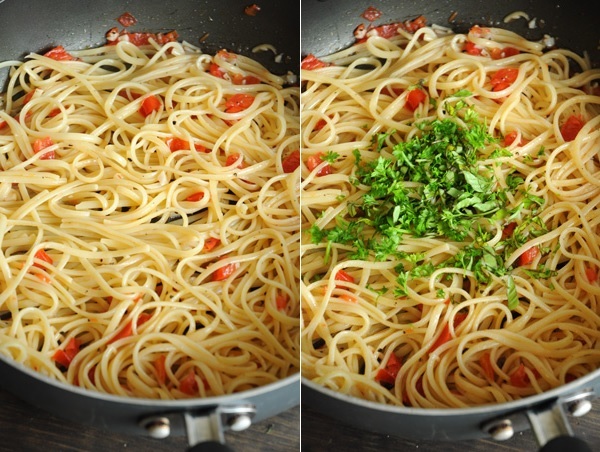 Our set included a small pot, medium pot, large pot with steamer basket and an extra large pot, which is what I usually use for spaghetti or linguine. Our set also included a non-stick fry pan. I truly believe that Paderno cookware is the best! I’m a loyal customer (I even bought a set for my mom for Christmas last year and she loves Paderno now, too!). 2. 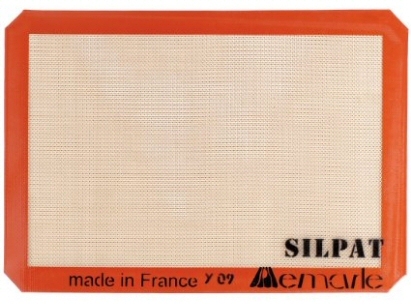 Siplat Non-Stick Baking Mat – I was introduced to these amazing mats last year and I am shocked by how much I use it! I don’t just use it for baking, but for cooking as well. These mats were designed to prevent sticking when baking in the oven, especially for things like fruit leathers and really thin cookies, but I use them for pretty much everything. Roasted potatoes, croissants and it even works great on your counter top when you’re rolling out dough. I love my Silplat baking mat so much. I only wish I’d known about it sooner! 3. 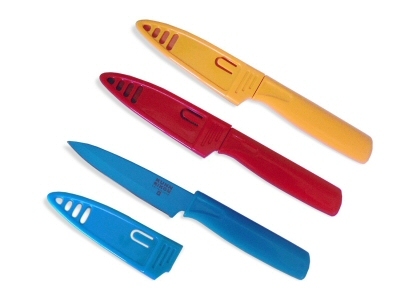 Kuhn Rikon Non-Stick Paring Knives – Another item that’s used daily in my kitchen is paring knives, and these knives from Kuhn Rikon are magical. Whether I’m cutting up small fruits and veggies, or slicing pastries into smaller pieces, these knives are super sharp and always work well. I’ve had my set for over 3 years now and haven’t had a single problem. In the past, paring knives would always dull out really quick, or they would stick to the food I was trying to cut, but these paring knives from Kuhn Rikon don’t do that at all. They’re my favourite knives for small jobs! 4. 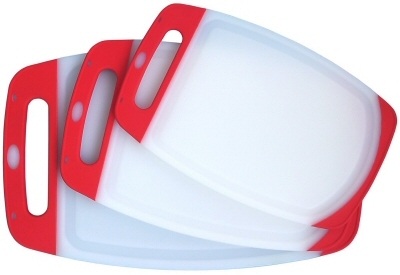 Plastic Cutting Boards – As much as I do love my big bamboo chopping board, I use plastic cutting boards for most kitchen jobs, and these are my favourite. The best part is the little groove that they have, which collects juices from fruit and other things, when you’re cutting. With previous cutting boards, the juice would drip right off the board and onto my counter, leaving a big mess for me to clean up. Not these cutting boards, though! They also don’t slide around on my counter when I’m using them, which is an added bonus! 5. Harold Imports Wooden Spoon – I bought this spoon when I was vacationing in Florida one year (I know, on vacation I’m buying kitchen tools! I’m a bit obsessed!) and haven’t looked back. I used to be a big fan of thos cheap, plastic spoons from the dollar store, but once they started peeling, I looked for an alternative. A friend recommended wooden spoons, so when I saw one for just $10, I snatched it up before I could change my mind. 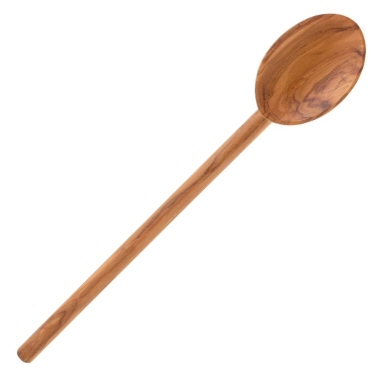 Now, I can’t imagine doing my daily cooking without my much-loved wooden spoon! 6. 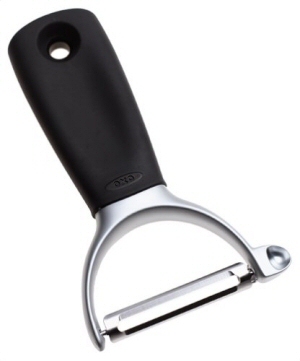 OXO Good Grips Peeler – I’ve always liked this type of peeler over the swivel peelers (and of course, my husband is the opposite, so we have 2 peelers! ), and this one by OXO Good Grips is the one I’ve had for over 3 years now. 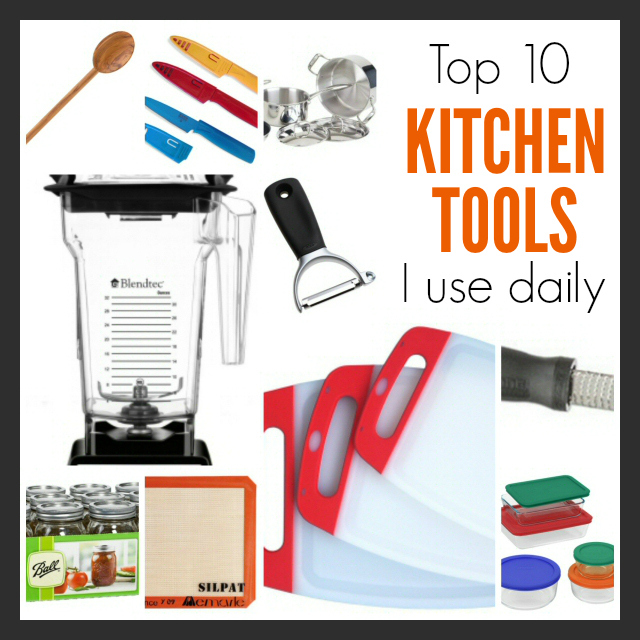 I peel veggies or fruits every day, and this kitchen tool comes in handy! It usually lives in our dish strainer, since we use it and rinse it off so much, it never usually makes it into a drawer! 7. Microplane Zester – I love, love, love my zester! I bought mine after seeing one on a cooking show years back, and I’ve loved it ever since my first use. I most often use it for zesting lemons, limes and oranges, but also love it for grating fresh garlic and ginger (I use it for garlic the most!). Every kitchen should have a microplane zester! 8. 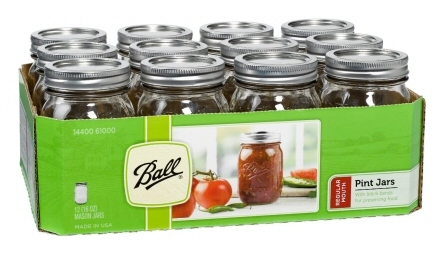 Ball Mason Jars – These jars have to be one of the best inventions ever. 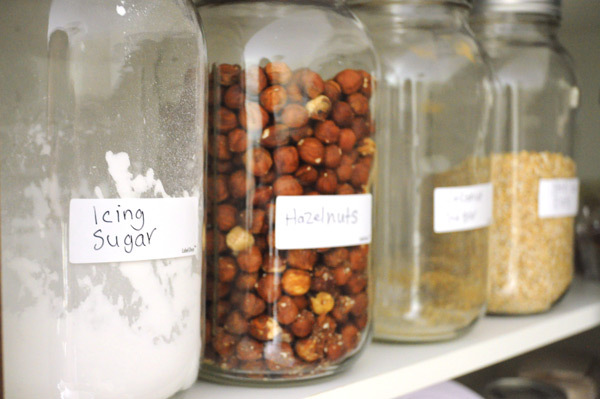 You can use them for canning, for simply soring foods in the cupboards and refrigerator, and even use them as drinking glasses! 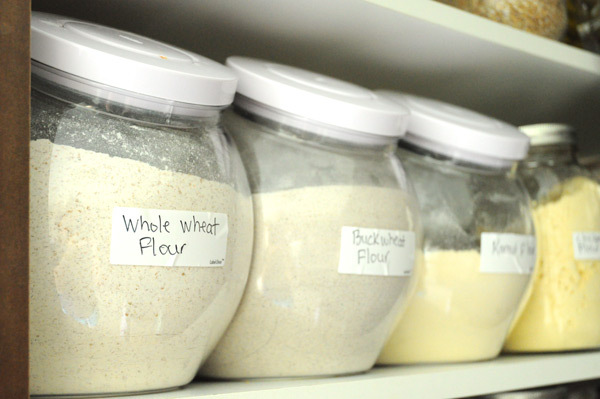 There are a million and one crafty things you can do with them, too, but I mostly use them in my kitchen. 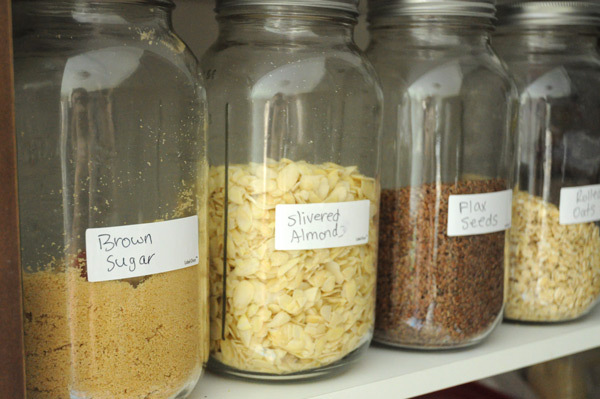 I use my mason jars as food and beverage storage the most. 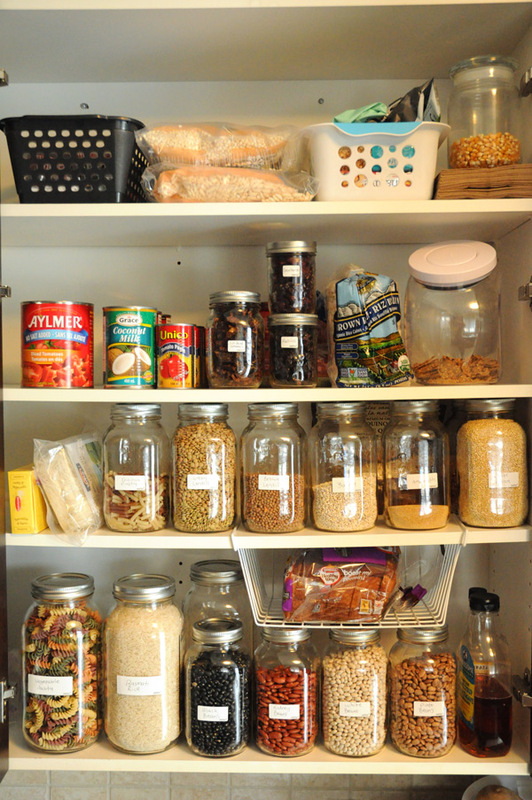 I organized my entire pantry with over 30 jars, storing things like beans, quinoa, pasta, oats, and chocolate chips. 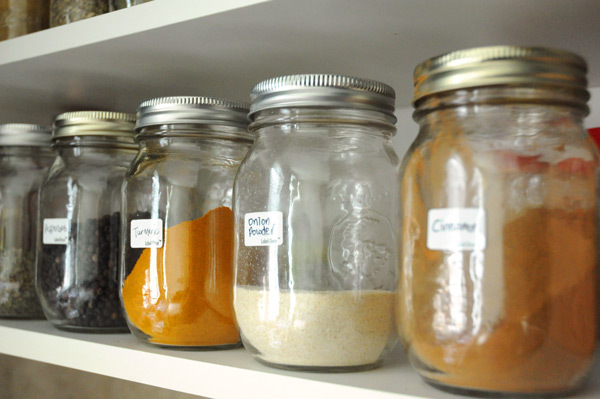 I also love using these mason jars for storing smoothies and juices in the fridge. Note: I mostly use the pint & half pint size jars. 9. Blendtec Total Blender – This list would be incomplete without my beloved blender. After years of a crappy, cheap blender that would leave chunks in my smoothies, I upgraded to this beauty. I use it every day for smoothies! I also bought the Blendtec Twister Jar, in addition to the blender, to make things like nut butters and hummus (we make nut butter at least once a week!). It was also worth every penny! 10. 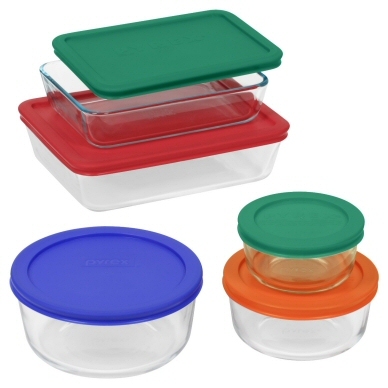 Pyrex Glass Storage Containers – Every kitchen needs a few (or in my case, a LOT) of storage containers for extra food, and my top pick is Pyrex. I use them for everything! Sauces, leftovers, cut up fruit & veggies. I recently upgraded to glass storage containers and haven’t looked back since. No discolouration on the containers, no yucky smells (even after they’ve been washed!). I also love that, because they’re glass, I can see into them without opening the lids. 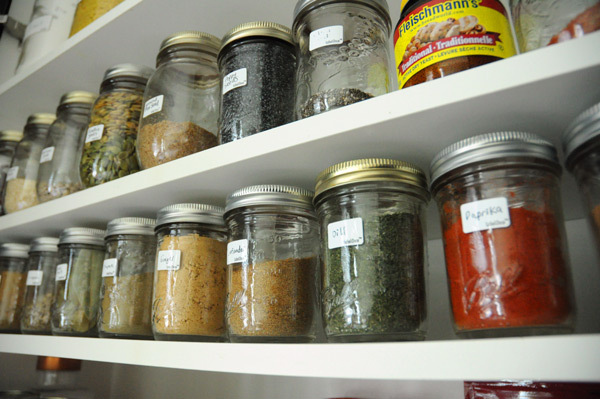 What are the top used kitchen tools in your home? Share in the comments! Ah, yes. The question every vegan is asked on a regular basis. Once you switch to a plant-based diet, suddently everyone is an expert on nutrition. Why is my protein intake a concern to these people anyway? From what I’ve learned, people don’t like change. They fight it. Even if the change is not their own. 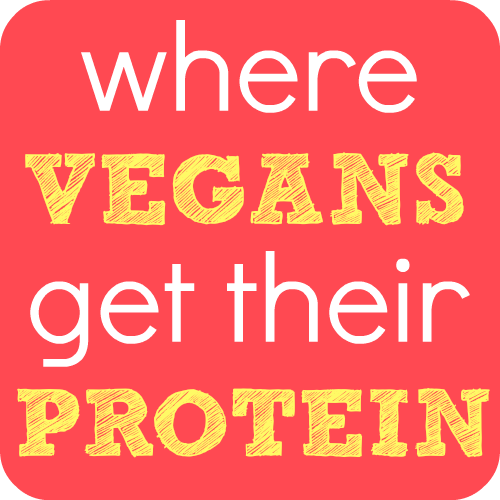 So, when I switched to a vegan diet almost a year ago, I wasn’t that shocked when I first got asked the question “where do you get your protein?“, because I was prepared. I knew people would ask questions. Contrary to what my friends & family thought, I actually did a lot of research before switching to a new way of eating. Although this did happen pretty much overnight (it was the minute after Vegucated was over), I did my homework. I made sure that eating a vegan diet was healthy, I made sure that it was possible to get all of the vitamins that I needed, and I made sure that I was doing it for all the right reasons. I didn’t switch to a plant-based diet solely because I love animals (although that was a big part of it), I did so mostly because it is simply better for you. Plants are better for you than animal products. It’s true. 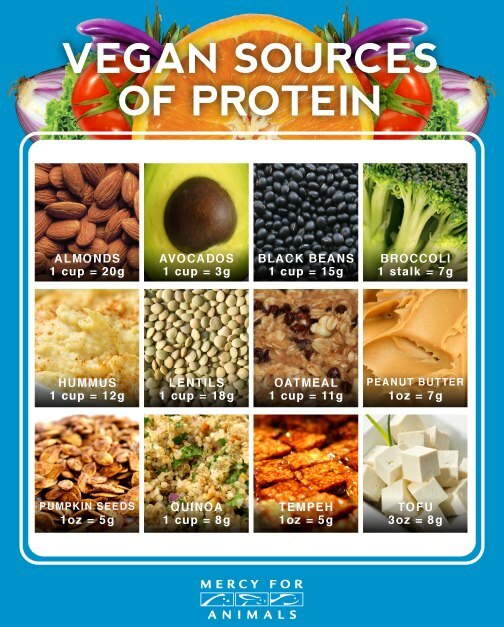 So now, because I’d like to have a resource to send to those ignorant people that ask my where my protein intake comes from, here is a list of protein sources for vegans. How much protein do vegans need? Nutrition experts estimate that most of us need between 0.8 and 1 gram of protein per day for every kilogram of body weight. That works out to 55 grams of protein per day for someone who weighs 150 pounds or approximately 10 percent of normal caloric intake (people in endurance training and pregnant women might require a bit more, of course). I recently tracked just how much protein I was getting in a day (over the course of 1 week) and it was over 70g a day on average, which is way more than I was getting as a non-vegan, I’m sure (I wasn’t eating many healthy foods back then)! So – there. I get enough protein, okay? Thanks for asking. Now please don’t ask me again.